Elections are likely to be held over the next three months in both the seats that fell vacant due to resignations of these leaders from the Lok Sabha. 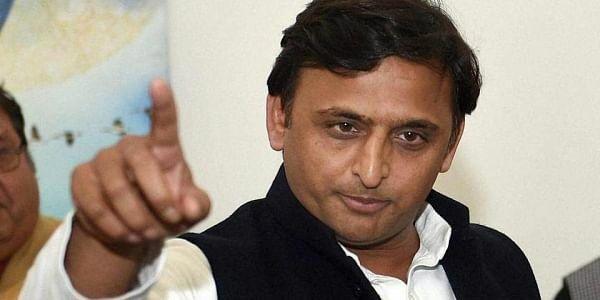 LUCKNOW: Uttar Pradesh's ruling Bharatiya Janata Party (BJP) on Wednesday slammed former Chief Minister Akhilesh Yadav for his "sustained and baseless rant" against EVMs. Talking to reporters here, party spokesman Rakesh Tripathi said it was sheer frustration and fear of defeat in the forthcoming Lok Sabha bypolls in Gorakhpur and Phoolpur that the Samajwadi Party chief was demanding polls through ballot papers rather than EVMs. "His self-confidence has gone for a toss, he is shaken completely with a series of bad defeats hence he is playing cry baby for EVMs," he said, adding that the demand was also amusing since the foreign-educated Akhilesh Yadav had spoken of digital transition in governance during his stint in power and distributed laptops". "If this is the real face of the so-called techno-friendly Akhilesh Yadav, the least said the better," he said. Tripathi also claimed that the victory margin of the BJP would be bigger in both the LS seats than its previous record. Gorakhpur was held by Chief Minister Yogi Adityanath and Phoolpur by Deputy Chief Minister Keshav Prasad Maurya.